Kishwaukee Garage Doors & Service Inc.
Kishwaukee Garage Doors & Service Inc. is equipped to meet all of your garage door needs including installing and repairing of garage doors and openers, replacement off springs, cables, rollers, hinges, bearings, sections, weather seals, gear&sprockets, trolleys, remotes, keypad and any other parts you may need replaced on your garage door or opener. So give us a call at 1-815-825-2888 so you can be left with a smile and know you got the best service and the best price!! 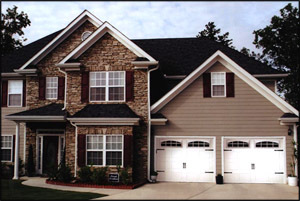 2007-2014 © Kishwaukee Garage Doors & Service Inc.